Booz Allen recently teamed up with the Student Veterans of America (SVA) and Portfolium to host its first-ever online cyber challenge and are thrilled to name the winner—Alison Wood, a student at Carthage College. 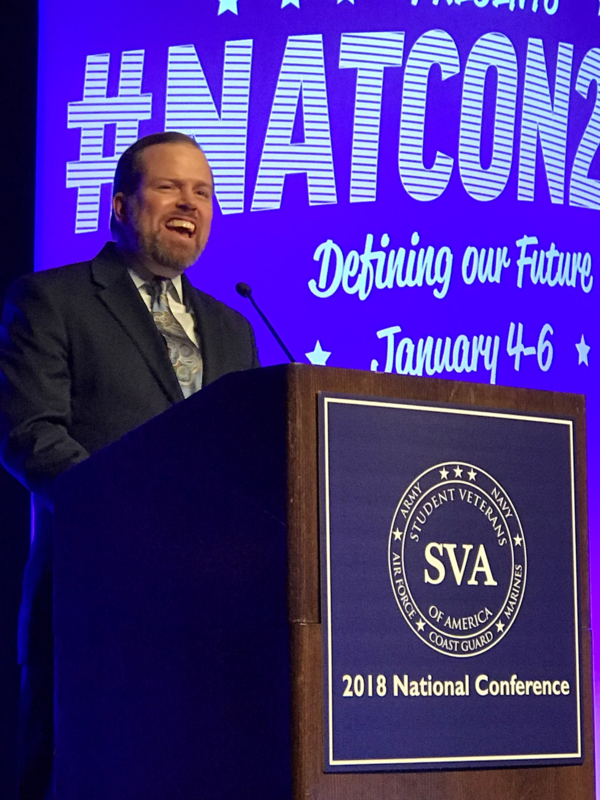 “At Booz Allen, we are always on the hunt for the best talent and ideas, and we recognize those ideas can come from anywhere,” says Kurt Scherer, director of Booz Allen’s DC Innovation Center, who announced the winner at SVA’s national conference in San Antonio earlier this month. Alison‘s idea uses gamification to assess employees’ knowledge of cybersecurity using their own platforms and technologies. To measure their knowledge, employees would access an app that takes them through a series of cybersecurity questions and scenarios—answering simply requires the user to swipe left or right. A company could tailor the app to current needs and specific individuals, allowing real-time responses and immediate assessment. In addition to recognition at SVA’s conference, Alison also received a $2,500 award and an invitation for a VIP tour of the Booz Allen’s DC Innovation Center. SVA is celebrating 10 years of supporting the student veteran population to, through, and beyond their time spent within the realm of higher education. SVA works to support a network of student veterans, fund scholarships, offer leadership training, build veteran centers, protect the G.I. bill, and much more. To learn more about SVA, visit http://studentveterans.org/. To learn about Booz Allen’s cyber expertise, visit https://www.boozallen.com/expertise/cyber.html.